Library Search: Use this tool to find articles, books, and videos in one search. ​​Articles: Find recommendations for databases and learn how to find a specific citation. ​Electronic books: Learn about the electronic book collection available to you. Citations: Discover resources to create and manage citations. 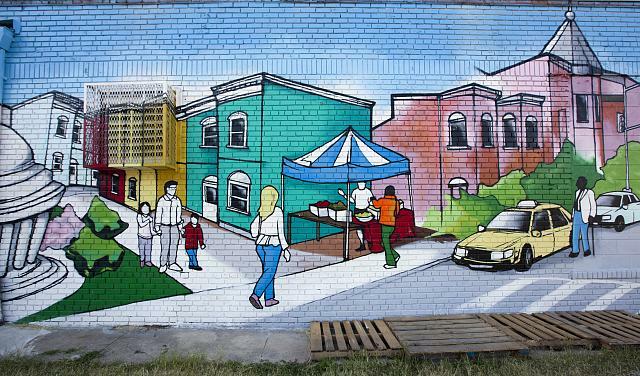 Image: Columbia Heights community mural, located near intersection of 14th and Chapin St., NW, Washington, D.C. Creator: Carol Highsmith. From: Smithsonian Institution. Bioregional Theory: Use this guide to find information on your bioregion. Other subject guides outside of resilient and sustainable communities: Select a subject in the humanities, arts, and sciences from the list and discover resources for that area of study.